Next postTalking to myself…and still on the struggle bus. The numbers just don’t seem to add up to the pictures, which are very dramatic. You look like you’ve lost much more than what the scales say. Keep focusing on all the positives, like better sleep and better health. I think you’re wise to make the exercise moderate, but consistent. Good luck, and hang in there. thank you, Diana! I really appreciate your encouragement! Those pictures!! 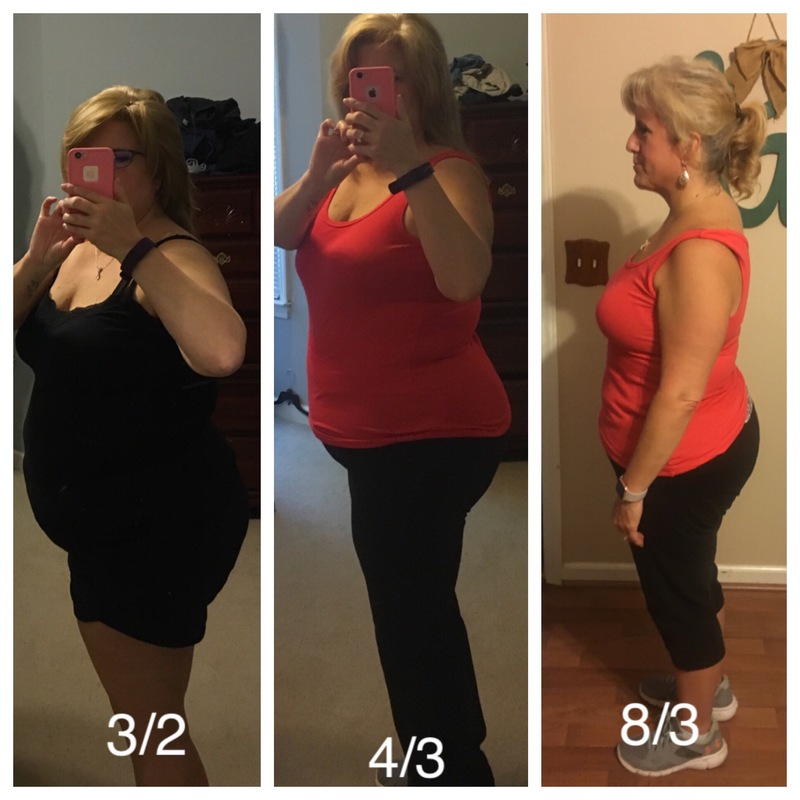 Wow – the difference is phenomenal! I agree that it looks like you’ve lost double what the scale shows, not to diminish how frustrating it is that the scale won’t cooperate but there’s a huge difference! You look great!!! Thank you, Michelle! I appreciate your support and love watching your journey, too! Very inspiring! Thank you, Bonnie! I try to keep positive and motivated. And most of the time I am. I do enjoy my morning walks when I turn up the worship music and just go. I need to let the negative out of my head and only keep the positive. Thanks for your encouragement, my friend! Yeah, what Diana said! You look AH-mazing! Hoping to see you in October and give you a big hug.